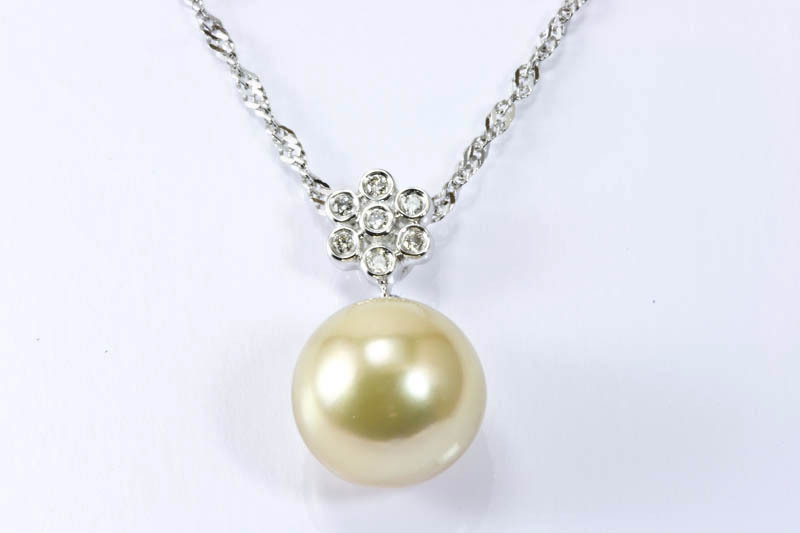 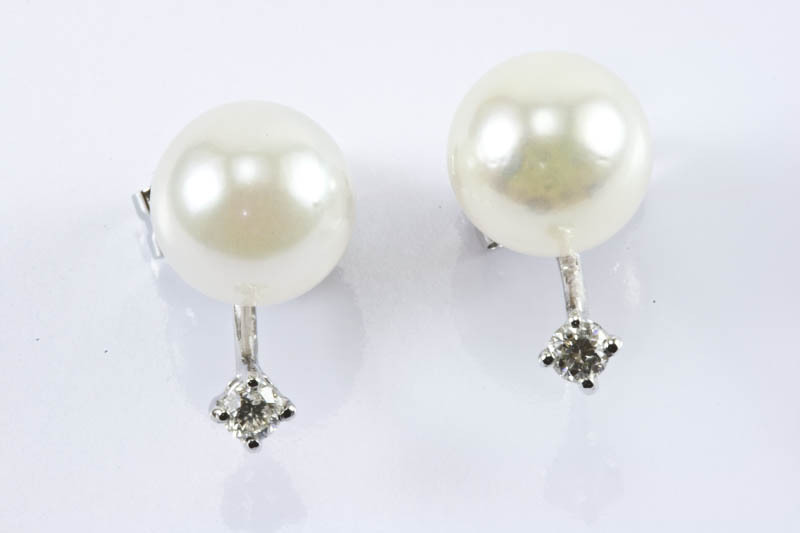 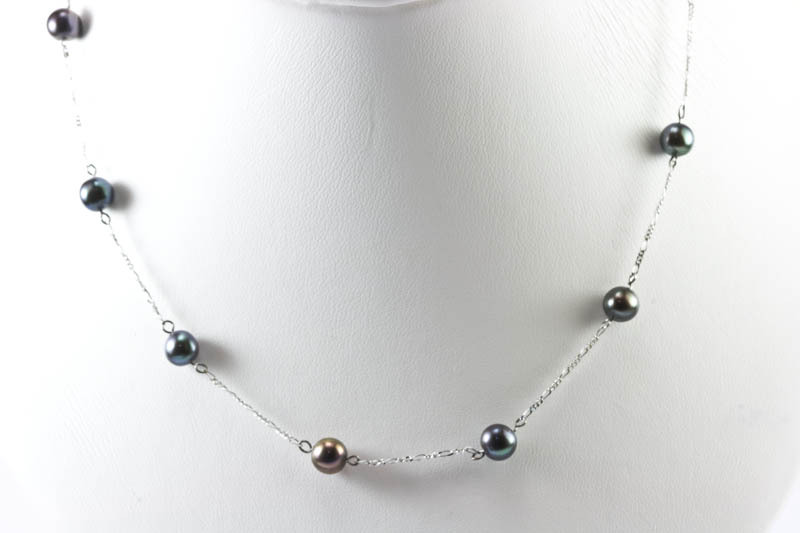 Lovely pearl pendant piece sparkling with 0.09 CT round diamonds designed to sell for special occasions. 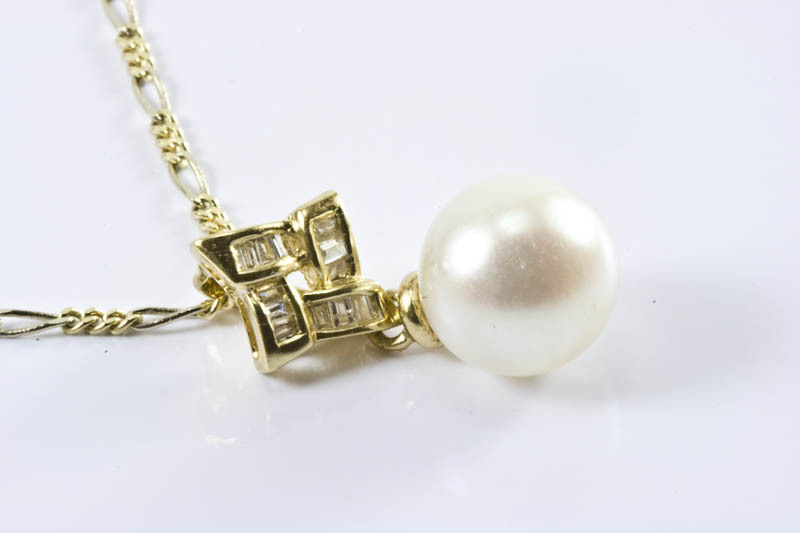 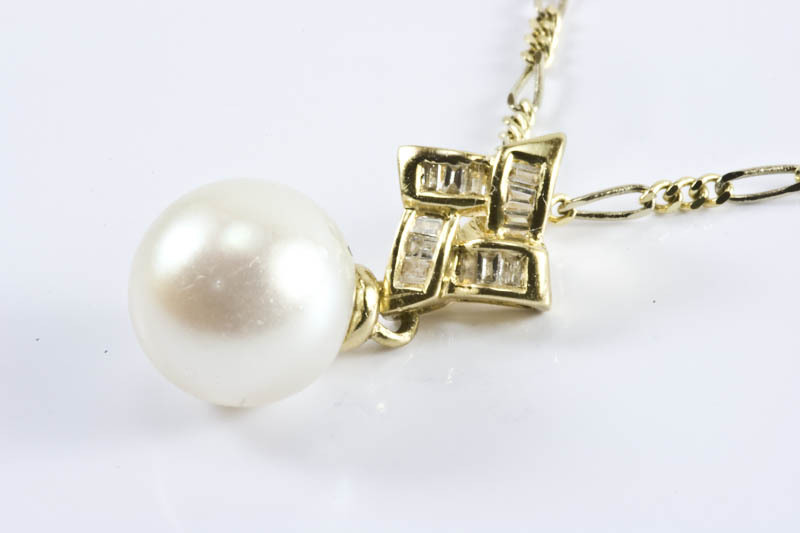 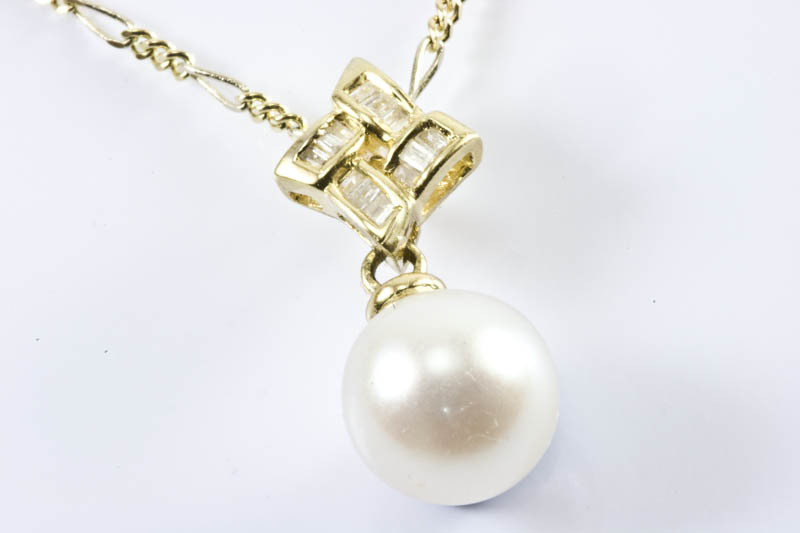 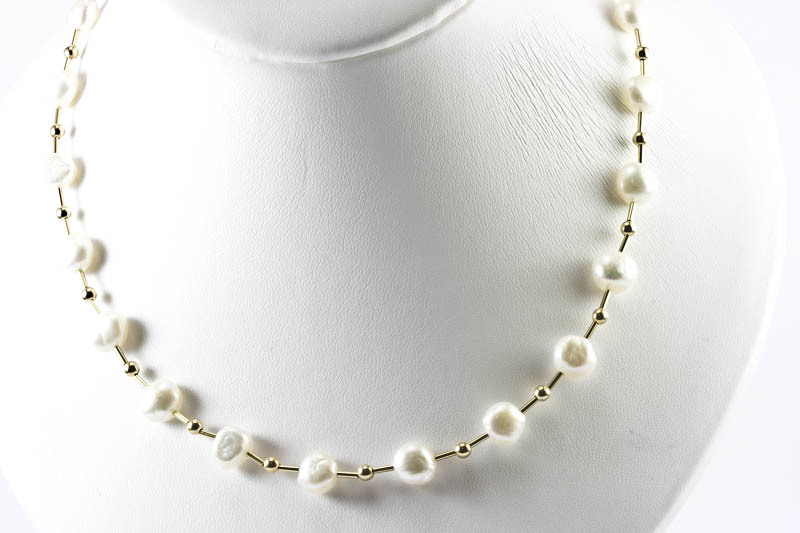 Simply irresistible pearl pendant polished in 18K yellow gold make you simply gorgeous & stunning. 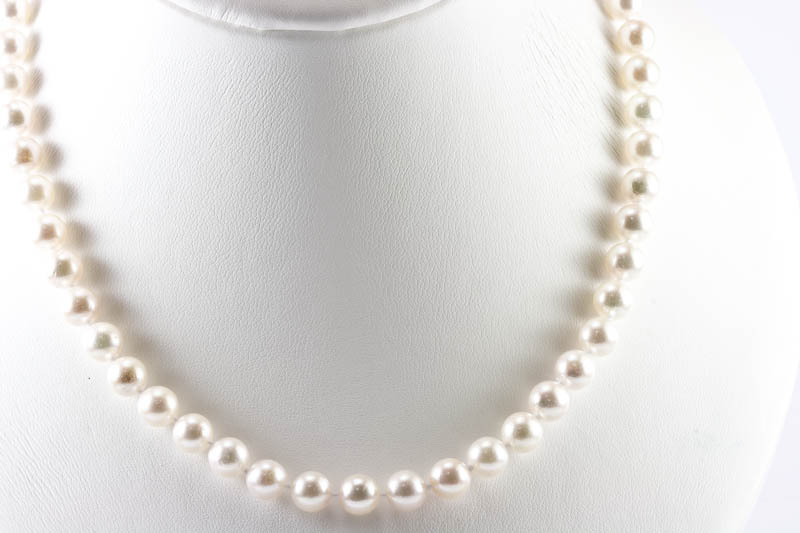 The pearl is 7.5-8mm in diameter, AAA grade Japanese Akoya cultured pearl is white body color with pink and rainbow overtones.